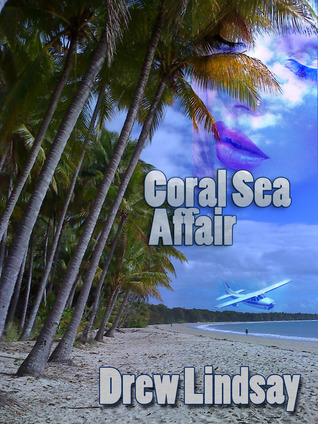 The Coral Sea Affair by Aussie Author Drew Lindsay is one of many stories about former police officer Ben Hood (this is the first). Ben Hood is a Sydney policeman who is placed on leave for shooting two people against police procedure. He goes back to Karate training and joins a security company where he is placed on assignment to protect the object of a strange obsession, Brenda Grant, in tropical Port Douglas. While there, he stumbles across a strange mystery. A woman’s husband has gone missing and there is mystery surrounding nearby skull island. Believing the two are connected, Ben sets out on a one man mission to find out the truth.